Make contact with our sales reps at 020 3746 3201 or just fill in our contact form and we will quickly give you a non-obligatory price estimate. Our cleaning technicians are specialized in delivering adequate spring cleaning in Islington N. You could use our assistance before, for the duration of or right after the spring season to wash just about any part of your residence in a professional manner. You can select from our detailed one off cleaning pointers, and reserve our reasonably priced service as longas you want. If you mix this service with one particular or two of the various other services which we deliver, we will grant you discount of up to 15%. Better Cleaning Company selects its cleaners only based on references from trustworthy sources. We carry out a complete background check for all our workers. They are all perfectly coached to operate by using our state-of-the-art cleaning technology, instruments, and Prochem certified solutions. 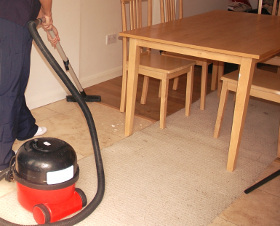 Our one off cleaners Islington N offer an exceptional one off property, spring and builders cleaning service, and work in compliance with the safety and quality sessions of our professional cleaning company. All of our services are completely insured. If you are home once the experts arrive at your property they will start by making sure that nothing has changed since you specified your demands. They will make a fast check through your place and verify if they could do all the required tasks. You could change your priorities if there’s too much tasks to be completed in the time available. Get One Off Cleaning - We'll Arrive Very Quickly! You can make fast and simple appointments 24-7. Just contact us by phone 020 3746 3201 or fill in our online request. As a reliable one off cleaning Islington N company we also have public holiday and week end availableness. We have reasonable prices and offer great discount rates for clients who request more than 1 service at a time! There is no upfront payment for our services. You will pay when we are finished. The insurance plan for the service is integrated in the final rate.